Find amazing kite trips and book them directly with our local hosts. Explain what you are looking for. Talk with the host to customise your trip. Find flights and more. Confirm your booking and pay. Where and when to go kitesurf? Wish to try something new? Take a look at our paragliding experiences. We are bstoked, a platform dedicated to all the Kitesurfers out there. We are here to share our passion for Kitesurfing adventures and to support each one of you in finding your ultimate Kitesurfing holidays! Kitesurfing is a never ending journey with endless spots to explore, tricks to learn and people to meet from all over the globe. The feeling of freedom grows with every minute you spend out on the open ocean and the addiction becomes stronger and stronger as you improve your skills. The experience of a Kite holiday will help you to bond with your travel mates and create lasting friendships with all the people you meet. Going alone or with friends - a Kite holiday is guaranteed to be a good time! As Kite-travellers we know how hard it is to plan the perfect Kite vacation without researching and organising for days or even weeks. Planning a Kite trip can be overwhelming and this is why we do the hard work for you by bringing together the best Kite trips from all over the world and making them easy and safe to book through our platform. We offer a wide variety of unique and unforgettable Kitesurfing holidays suitable for anyone. 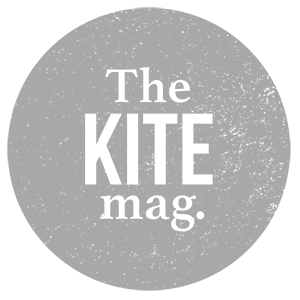 From Kite beginners that want to learn Kitesurfing in their holidays to advanced riders that are looking for the ultimate Kite experience or just a new destination to explore. No matter if you are looking for an adventurous Kite safari, Kite accommodation far off the beaten track, a mind blowing Kite cruise or a simple Kite camp, you can find it on bstoked! Simply select your level, dates and trip preferences and you will have a variety of amazing trips to choose from. With our price guarantee we make sure you pay the same price as booking with a provider or travel agents! No hidden fees, no extra expenses. Just the opposite, booking via bstoked means getting more for the same price. On bstoked you will be in direct touch with the local providers avoiding other middlemen or resellers so local people benefit most and can run their businesses more independently. Hi my name is Olivia and I'm a passionate kitesurfer. Can I show you how to find the most suitable kite trip for you? Please click below.